The Irish Scrapper: How to create a pumpkin with Swirly Bird! In today's project, I used the swirly scribbles thinlets to create my pumpkin. I thought what a clever way to use this set. When I originally purchased this bundle, I had no intention of using it for a halloween card. So, my lesson of the day, look at the stamp set and thinlets you have and get creative :) I actually used three stamp sets for this card but you can use whatever you have. My sentiment is from Teeny Tiny Wishes and my pumpkin's face is from Jar of Haunts but I used an enamel shape for the nose! What do you think? Super cute, huh? I also wanted to remind you about all of the October promotions. Oh my! 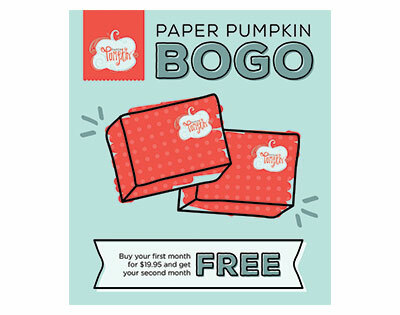 I almost forgot about the Paper Pumpkin BOGO sale! Whew that was a long post today!